Pet the Dog | Because every pursuit should make us feel as lovely as when we pet a dog. As frustrated as I can get with the “academy” (and I can get very frustrated), I have to acknowledge that all of my academic training has proven useful in encouraging one particular obsession habit: researching. Regarding researching, I can openly admit that I am, in fact, a bit of a compulsive. For example, rarely does a vegetable find its way from the produce section to my refrigerator without being first thoroughly considered and cross-referenced. An unsuspecting acquaintance casually mentions the salt content of a pot pie? To the books! Obscure symbols on bumper stickers get the full treatment, sans MLA formatted works cited page (unless deemed absolutely necessary). And after an exhaustive and comprehensive investigation, I went for a run. This blog is, indeed, a collection of one year of mental meanderings that occasionally resulted in full-on-yet-inconsistent pursuits. Yoga, sailing, the Italian language, plant-based foods, all attempted after extensive scrutiny and enough information-gathering to fill multiple 3-inch binders. (One binder per subject, of course, with appropriate tabs and page protectors). Researching has become, quite definitely and unstoppably, second nature. I tend to credit the institution of higher education for this addiction behavior, but really my penchant for informed inquiry started at a much younger age. 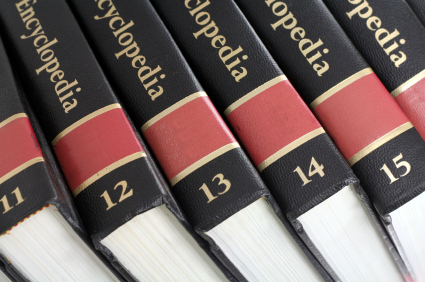 As one of a dwindling generation of folks who grew up with significant shelf space devoted to the now only-available-electronically Encyclopedia Britannica, I often posed a random query about, say, yaks, only to be promptly directed by my mother to “look it up,” which I did. (The Tibetan work “yak” refers only to the male of the species as the female is called a “dri” or “nak,” btw). The post-Britannica era being ripe with opportunities to quickly gather information on the positively obscure from almost any location, “looking it up” became an unavoidable and wildly convenient pattern, eventually and intensely aided by my accrual of a laptop and smartphone. While I remain a bit of a holdout with most technology, and particularly with social networking, I cannot deny the functionality of the online search. For individuals with my condition concern, this wi-fi wonderland eliminates excuses for knowing nothing when, in fact, the problem should be “knowing” too much after sifting through the swaths of information possible to know. Alas, and as I remind my students, access does not guarantee use. Knowledge does not guarantee action. After years of academia, I have become a master at compiling resources while, like all good academics, doing little with the information beyond simply knowing it. Such seems to be the sad case for many of the pursuits in this blog. As much as I now “know” about my multiple endeavors, I have “done” very little. I have found repose in the comforting embrace of research, developing a smugness from the knowledge I have accumulated while nonchalantly ignoring the demands of action. There is, I believe, a balance that I am sorely lacking. One of the most profound lessons I’ve learned about dealing with someone else’s anxiety, tragedy, disappointment, loss, or sadness came from a very typical and brief encounter during undergrad. I went to a small college where everyone in the same major tended to take the same classes at the same time. As we all advanced in our respective degrees, we started dealing with stresses unique to our fields. For us English majors, our perpetual modus operandi revolved around deadlines for major papers. One particular semester, we were all taking an upper level Shakespeare course. After coming back from a long holiday the day before our major composition was due, we were bleary-eyed and intellectually confused together. We visited each other in our dorms to check progress and exhale our stress, feeding off the group “freak out” mentality. Naturally, I was pretty stunned to be thanked for what I initially deemed a pitiful response to a situation begging for some erudite answer dripping in expert wisdom. Perhaps a quote from Milton or Keats or, as would be apropos in this case, the famous bard himself, would have better reflected by keen ability to use the language and literature I spent so many hours studying. How was my painfully brief little response remotely comforting? Then, later, when I was in the same place of exasperation in a different class as she experienced with Shakespeare, I realized how refreshing it is to be able to voice an anxiety and get a simple response of acknowledgement that, yes, “this” is tough and here is a small dose of sympathy. Having the same deadline for the same paper for the same class only gave me a frame of reference for what my classmate was experiencing. I had no way to really understand her personal struggle. I could relate, perhaps, but not understand. This response is the ultimate rhetorical vehicle for autobiographical monologue. I had used this response in my conversations with other Shakespeare classmates in order to, I later surmised, talk about myself. The power of this response is to switch from listener to speaker, from one offering sympathy to one requiring it. We are all compelled to give advice. I often feel as if I have offered nothing until I give some sort of course of action for whoever has the misfortune to come to me with their troubles. I have since tried to remind myself that advice should be an asked-for response only. What constitutes “ok” for that person? The second I become omniscient, which will be never, is the moment I can take leave to offer this vague response. I don’t mean to come across as judgmental of anyone who falls prey to these common modes of sympathy. Indeed, I still find myself subject to the allure of claims of understanding. My point, instead, is that very seldom, and I would argue only very rarely, are these responses ever appropriate or “true.” Most often, we reply in these forms in order to exit an onramp to stories about ourselves, what we’ve gone through or are going through. We employ these very useful rhetorical cues to position ourselves as the protagonist, the lead character, instead of embracing the role of supporting cast. Again, I in no way mean to offend. My friends and family are much better than I am of avoiding these sympathy pitfalls. They are much kinder to me in my times of struggle than I am to them. And I also apologize for this very odd interruption in my normally inane posts. This particular subject has just been very much on my mind of late. This, my friends, is the best appliance in the known universe. 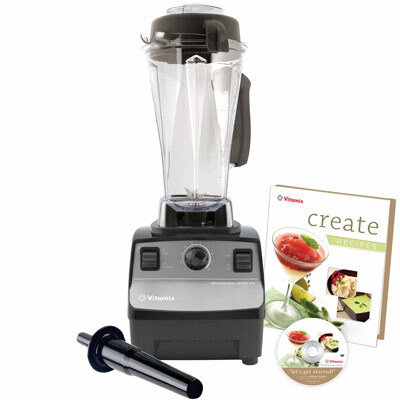 After a year of easing into a primarily plant-based lifestyle via the inspiration of Brendan Brazier’s Thrive Diet, I have been rewarded (after much saving of the money) with a much desired gift, a Vitamix. To call this appliance a “blender” would be an injustice, even slander. The Vitamix is a blessed hunk of power that can turn a handful of almonds into smooth almond butter, gently shop veggies into salsa-ready shape, and grind chickpeas into restaurant-grade hummus (FYI: many store-bought hummus brands use vegetable instead of olive oil, which is how they get a smooth consistency without charging $15 a tub). So, to honor the appliance that encourages my domestic side, here are a couple of common recipes my husband and I make. Instructions: Drop everything into the Vitamix and blend. Instructions: Drop everything into the Vitamix and blend til liquefied. A couple of years ago I presented at an academic conference in my professional field, Composition and Rhetoric. I opened the talk by briefly recounting my transition from a degree track in literature to composition. Most of us in writing, I argued, found our way there after first seeking to develop deeply personal relationships with the authors who penned our literary canon and their stories to which we eagerly and willingly gave so many of our waking hours. It was the desire to not just learn, but experience, the lives of the characters that motivated our professional tracks. Perhaps, many of us daydreamed, even to eventually extract enough of the great authors’ genius and inspiration to pen our own masterpiece, to offer new stories infused with the essence of our literary ancestors who kept us up so many nights. For me, it was the allure of Dostoevsky’s The Brothers Karamazov (leather-bound with gold-trimmed pages, of course), Austen’s tales of difficult love, Shakespeare’s sonnets, Dante’s Inferno, and Eliot’s universal Prufrock. I fell deeply into the philosophical trance of Dostoevsky’s tome of ethical quandaries. I nurtured fuzzy visions of actually accomplishing Miss Bingley’s characteristics of an “accomplished” woman, a list that is both absurd and wonderful. (Who indeed, Mr. Darcy, could fulfill such intensive requirements?) I did not, to the marriage of true minds / Admit impediments. I feared each horrific circle of the great Inferno while mining the fluid cantos. I talked of Michelangelo and measured out my life with coffee spoons. Indeed, it was the allure of so many tales that encouraged the overtly romantic themed pursuits that prompted this very blog. It was these intangibles of literature that initially drew us and laid claim to our imaginations, softly caressing dreams of being contemporaries rather than descendants of the great wordsmiths. So we were coaxed, and willingly followed, the fantasies of other times penned by impressive hands. 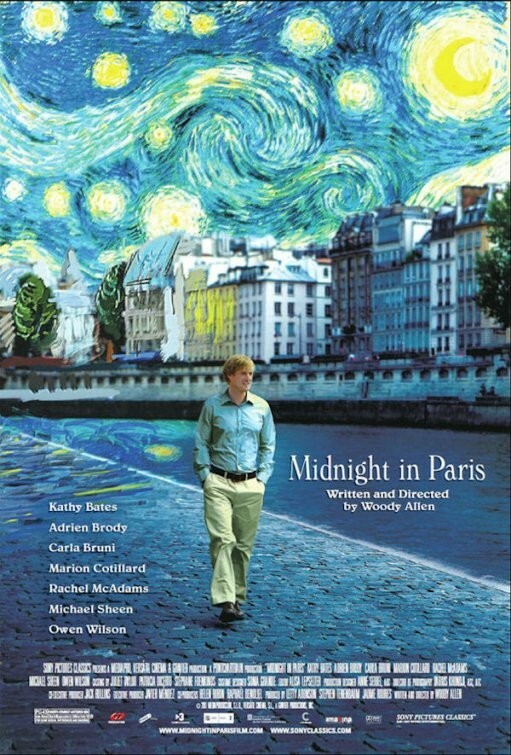 I was reminded of that talk when watching Midnight in Paris, an interesting little Woody Allen film that considers the perplexing nature of the “present.” That is, the common sensation that one’s present time is often deemed “dull” or sub-par compared to past eras, such as we might read in books, perhaps. The difficulty, so implies the film, is finding reasons for contentment in one’s own time when what has come before is so very romantic. For the protagonist (who is, of course, a writer) his desired “Golden Age” is 1920s Paris, when Hemingway, Fitzgerald, and Eliot traded wines (and sometimes woman) with Picasso, Pound, and Joyce, among other ex-patriates of Stein’s “Lost Generation.” Without giving away too much of the plot, the “hero” ultimately determines that our lot is not to yearn for the past, but to deal bravely and contemplatively with our own present, our own lives. While I will always allow myself the luxury of falling completely into the worlds created on the pages of my favorite books, I am determined that this year, I will consciously and intentionally confront my present. I am committed to engaging in each day as it is happening, not mourning for yesterday or wishing for tomorrow. To this goal, this resolution, I tip my pen. May I live and write this year in the literary present. Yes, my friends. 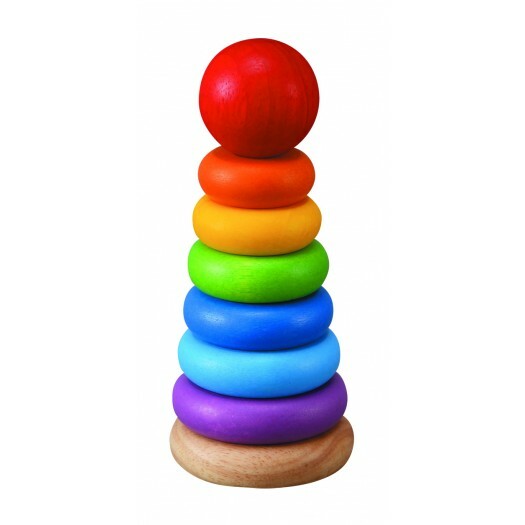 I offer you the classic wooden ring skill toy. Inexpensive, simple, and ironically “modern” in its retro-minimalism. What initially struck me about this toy was the clear memories I have of not my own model, but the plastic version my younger siblings played with. I can clearly recall these then tiny people engrossed in the activity of successfully stacking the rings. Once the rings were mastered, they moved on to the intermediate level, stacking wooden letter blocks. Eventually, they entered the expert phase: making words out of the letters on their stacking blocks. The classic toys are just so wonderfully simple, yet still attractive and beneficial, dare I say, even “fun.” It is this very simplicity, perhaps, that is the key to their staying power. They might even become trendy. After all, the “simple” has an undeniable modern appeal. Take, for instance, running. There could not be a simpler way to exercise. You need your own body and, ideally, space. But space isn’t even an absolute necessity as it is possible to run in place. Same story with yoga. At its core, yoga is about moving and contorting your own body. No gimmicks. No energy gels. Just controlled movement. Of course, we do have a knack for complicating the simple, and I’m absolutely guilty of falling prey to the allure of fancy accoutrements. We’ve yuppified running with fancy footwear that, ironically, is supposed to mimic bare feet. (I know. I own a pair of these and love them). We have a whole consumer market for running apparel that wicks away our sweat and increasings aerodynamics. For yoga, we have mats made from sticky tree rubber to increase stability, four million different styles of yoga pants, and even yoga gloves and socks. And lets not forget the countless popular publications that repeat the same information every month and offer the occasionally useful smoothie recipe for burning more calories. Still, when stripped down to their basic selves, running and yoga are inherently uncomplicated. They are simple, like the classic wooden skill toy. Even though I have a tendency to pile on layers of unnecessaries, maybe it’s that simplicity that I find attractive. Unlike the complex, the simple always seems possible. When my husband and I moved into our new 3-bedroom rent house this summer, we decided that each of us could have our “own” room. His, of course, is an office complete with one wall coated in nanotechnology that lets him use the wall like a massive dry erase board. It’s been very useful for him since starting med school. 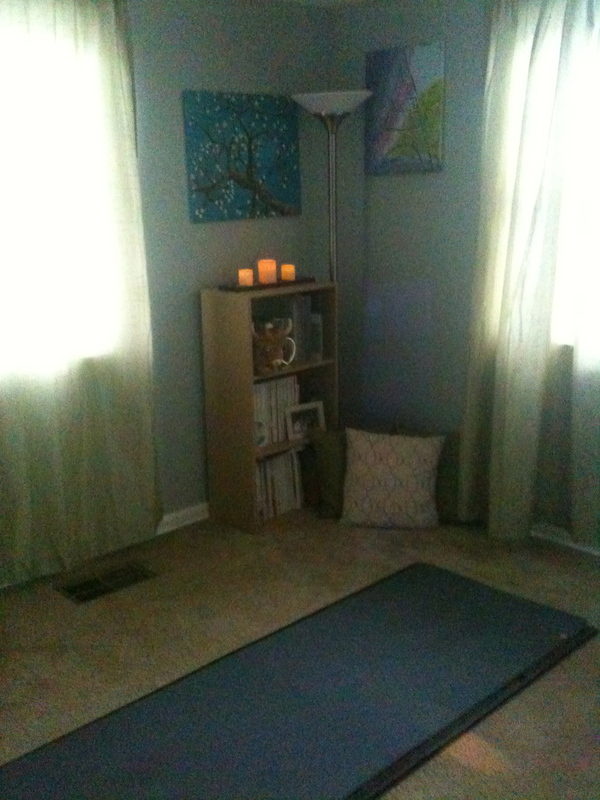 My room is a yoga room. As you can see, the middle of the floor is free from stuff and stays open for my portable yoga floor (a la LifeBoard) and yoga mat. The only furniture is a dresser my mom found for free that I painted a sand color. I then painted a small bookcase we already had in the same color to match. The “artwork” on the walls are actually “originals.” That is, they are what I painted with much coaching at Sips N’ Strokes. I already had the pillows on the floor, the curtains previously hung over the sliding door to the backyard in our old place, and the floor lamp was in this house when we moved in. I really wanted to create a “natural” feeling, so I added a few elements from the outside, literally. 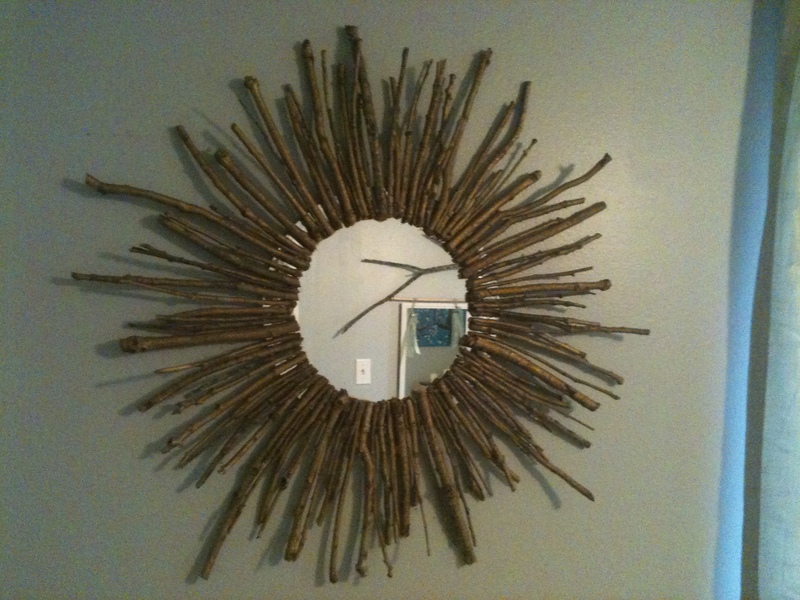 I made a sunburst mirror from a cheap, plain mirror from Hobby Lobby. 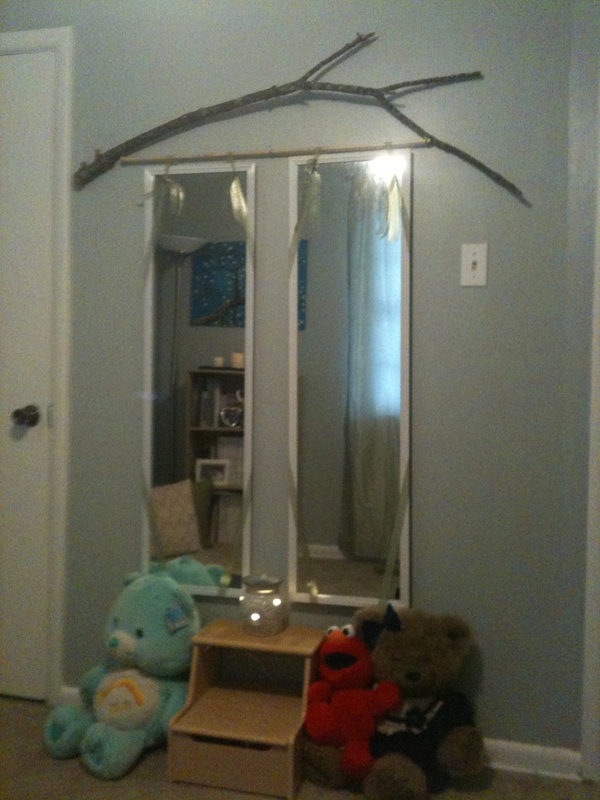 I gathered sticks from our yard, cleaned them, spray painted them gold, then hot-glued them to the outside of the mirror. It didn’t really take all that long and cost me a total of probably $8. I also brought in a large branch to hang over the full-length mirrors I jimmy-rigged onto the opposite wall. The stuffed animals have moved with me for many year and add a nice touch of whimsy. 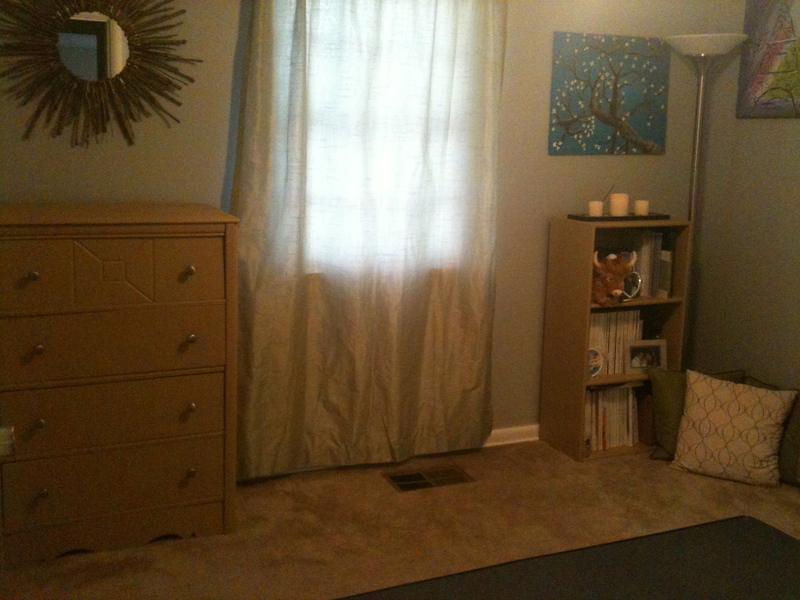 The room was already painted a soft blue, but my sister and I painted the trim white to give a cleaner feel. I’m pretty happy with my room. Now, I just need to use it. Be forewarned. What I’m about to say may shock you. It might go against some of your core beliefs, and definitely opposes a cherished social maxim. Prepare yourself. It’s ok to just “like” stuff. Try not to hyperventilate. I’m fully aware that the above statement directly contradicts the marrow of great thinkers, philosophizers, inspirers, and motivators from antiquity to Oprah. But I’m convinced that I’m right. More importantly, I’m confident that my perspective is more than right. It’s humane. Passion for their jobs, hobbies, relationships, projects, prospects, ambitions, attire, footwear, eyewear, location, libation, vacation, vocation, claymation…Passion for it all. And let me tell you something. The pressure for passion is stressful. We get pumped with bumper-sticker-ready cliches demanding not just that we pursue “dreams,” but how we should pursue them. We are commanded to “fall in love” with everything we do, to stay “hungry and foolish” a la Steve Jobs, to be both inspired and inspiring, to shun practicality, to ooze desire for our tasks. Byron, Einstein, Emerson, Pascal, Camus, Franklin, all are leveled at us as ammunition against the epidemic marked by domesticating and taming the passionate beast that is our soul, softly lulled to sleep by the banality of modern life. We, the few, the proud, the passionate, do not merely exist, we live. We lionize the starving artist, the roamer, the Holden Caulfield’s, the Ginsberg-ians who do not sit quietly while life is lived by others, who Howl. And this, my friends, is where passion as a prerequisite for living gets cumbersome. The problem with requiring passion is that we can, in turn, create stress, frustration, slowly becoming annoyed with ourselves and others if we perceive a lack of this nectar. Not knowing fully, perhaps, what being passionate “is,” we are still pretty sure we know what it isn’t. Even if we are figuring out whether or not we ourselves are the personification of passion, we feel fairly confident we can spot the dispassionate. 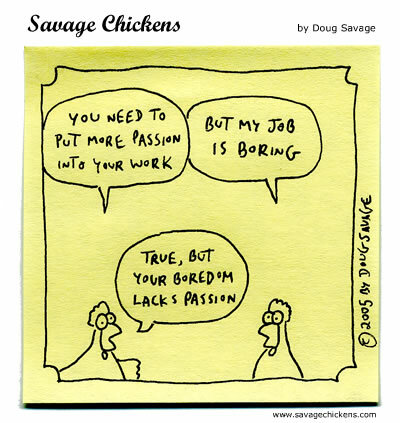 Passion surely isn’t the CEO, the banker, the broker, the cashier, the housewife, the content, or the obedient. The truly passionate will not rely on routine, a planner, Microsoft Excel, or motivation. The passionate will simply “do” because passion is the catalyst for action. As lovely as it sounds to float around in a utopia all fluffy with passion, it simply isn’t realistic, and it isn’t fair. We must free our psyches from the dictatorship of passion. We need to allow ourselves to be practical. We must recognize that sometimes, it’s perfectly acceptable to just like stuff. Case in point: I am very thankful to have a job, particularly in the reality that is our current economic situation. But, do I love my job? Do I wake up before my alarm giddy with anticipation to jump in my car and get to my job? Do I fall asleep at night freshly bathed in the comfort of believing that what I did in my job that day was astounding? No. But I like my job, at least most of the time. I like the fact that I have health insurance and dental. I like getting a paycheck. I like being productive. Now, is it possible that there is a job out there I could be passionate about? Possibly. But I have no idea what that could be at the moment, and I don’t feel compelled to continue encouraging the spirit of discontent I’ve been fostering the past few months because I’m not passionate about my work. I’ve done that already. It’s exhausting. Instead, I’m embracing the opportunity to be in “like” with stuff. I’m allowing myself to desire passion without requiring it. I’m legitimating the option to be simply content with my employment. I’m letting myself finish my dissertation without demanding that I salivate over opportunities to revise my chapters. I’m reading Austen, not Salinger or Kerouac. Because my approach is not only practical and functional, it’s humane. I’m not denying the significance of passion, and I’m certainly not halting my pursuit of it. But I’m not demanding it in everything in every moment. 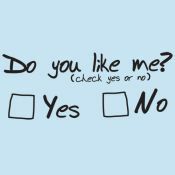 So, to all of you who are also in “like” with your life, either in its entirety or in part, I validate you. Salute! My mom can often be particularly insightful and, dare I admit, even right. I discovered this hideous truth at a young age and spent a good part of my development rebelling against it. Being a daydreamy child inclined to ponder the wonders of the universe or the interesting pattern of speckles on the ceiling (such wonderful swirls!…), my mom was forced to frequently remind me to complete tasks. Consequently, we would find ourselves engaged in verbal sparring. Throughout my college years and adulthood, I’ve often recalled the wisdom in my mom’s retort. While it has been many, many years since my mom and I have found ourselves in opposing corners of this verbal boxing match, the impact of that powerful rhetorical right hook has always smarted around my ears. Was my intention not in itself worth noting?, I would protest. Do we not lionize that Little Engine merely for thinking she could? I was merciless and, unfortunately for my mom, well read in Little Golden Books. What I have discovered, though, is that we thrive on thinking, like the Little Engine, that we can. We ascribe incredible value and acquire solace through believing in the possibility of action. That all we need do is flip the magic switch that turns on action out of intention. We crave inspiration. We see Rock Balboa in our ceiling speckles and play epic musical scores to incite surges of passionate intent founded on perceived ability. And more often than not we are right. Maybe, like that Little Engine, we can. We certainly very often intend to. What I have also discovered, though, is that all too often my inspired intent seldom leads to a completed objective, and I am fairly confident that I am not alone in this. We often make grandiose speeches about what we can achieve, or write lengthy manifestos about our goals, but regardless of whether we intend to tie our shoes, complete a degree, travel, lose weight, or volunteer, the inspirational accouterments serve only to fashionably adorn our goals, distracting us from the reality of incompletion (I relish opportunities to make up words). Eventually, we have to move from “going to” to “doing.” At some point, the speech is over and Rocky gets back to his restaurant; the violins and snare drums stop. Offering myself on the altar of full disclosure, to finish my dissertation, I have to actually sit in front of my computer, document opened, and write. To learn Italian, I have to actually study conjugations, vocabulary, and pronunciation. To become a yoga teacher, I have to actually build a home practice and seek out opportunities to teach. The Little Engine actually had to pull the train up the hill, did she not? In short. I have to turn my “going to” into “doing. So, I say to my mom, touché and well played. In this the year of my pursuits, I again recognize the wisdom you so very often had to repeat. I find that the best pursuits come with soundtracks. I have about 15 yoga playlists, and I’m always adding more. My new melodic diversion, though, is playlist-in’ for running. My initial playlist is affectionally titled “Runnin’ On My Toes” and includes tracks by Eminem, Rhianna, Linkin Park, Flo Rida, Daft Punk, Skylar Grey, and my new favorite, Martin Solveig. A few weeks ago, I voluntarily subjected myself to a fitness screening at the university where I recently found employment. I received a campus wide e-mail advertising the screenings, signed up quickly enough to avoid giving myself time to justify avoiding the offer (an attempt to follow through on the whole take-opportunities-for-self-betterment-as-they-come routine) and the next week was in a room with an Exercise Science grad student getting my pulse read. The assessment was thorough. He took note of my height, weight, measurements (triceps, waist, hips, thighs), fat percentage via 3-caliper method, and resting heart rate. He then instructed me to get on a stationary bike and pedal while he slowly increased the resistance until I reached my pre-calculated optimal beats per minute, then charted how long it took me to recover. The whole assessment took about an hour. One week later, I went back for the results and to receive a personalized workout program based on my stated goals. I have to admit, I wasn’t really surprised by the assessment. That’s right. Neither over nor underweight. Normal fat percentage for someone not considered active in the fitness spectrum (humph). Average BMI. Average vo2 max. Average stamina. Average ability. Workout plan intended for someone with average goals. If I were to get a grade, I suppose I would earn a C (sans grade inflation, of course). Again, no surprise here. I do yoga fairly regularly, as all of you know, recently took up running now and then, kinda monitor my food intake (though the last week has been atrocious). Nothing I do would catapult me in one direction or the other. 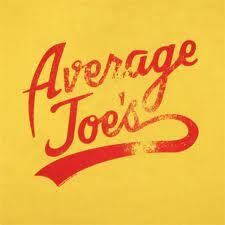 According to my current lifestyle, I’m looking at a lifetime of average. I would say that I don’t mind averageness (yes, I am using a fake word). I have no ambitions for fitness glory or athletic prowess. While I do want to want to run, I have no longing to break the ribbon at a marathon. In fact, the first actual “race” I’m considering running is affectionally dubbed “5K-ish” because, really, it is a fun-mud-run. (I’m particularly looking forward to the prospect of jumping into a pool of mud at the end…) I don’t even know if they time the thing. I also don’t really care about my weight. I only ever vaguely know what a scale might read, and I’m only mildly cognizant of body fat levels and their impact. I don’t say all this to come across as a braggart or give the impression of having achieved that ever sought self-contentment. I also don’t offer this window-into-me in a search for praise, false or otherwise. I offer all of this because, frankly, I don’t believe myself. For some reason, I was a little bothered by my assessment results. 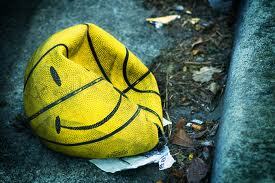 Even though I had no reason to expect otherwise, I was a little deflated by being told what I already figured I knew. And I can say to your face without blinking that my disappointment didn’t stem from being told this information from someone else. I never have had issues with other people’s opinions, probably to a fault. (Just ask my college roommate turned sister-in-law. She lived through the worst manifestation of this trait. Yet, she still talks to me…Remarkable.) And it’s not that I would call myself a liar. I honestly expected to get the results I got, and honestly expected to be unfazed by said results. Yet, here I sit, slightly bummed out. But I think this experience revealed something important, something necessary. I started this year with a desire to find success with several, random goals. And so far I have. I have my official Skipper’s License (Licensed to Sail), am a certified yoga instructor working on my 200 hour RYT, and have recently fished out my Italian instruction stuffs. But even all of these “successes” reveal a propensity for averageness. I haven’t sailed since April, haven’t taught yoga since June, and am still wading in the sea of introductions in Italian. Even my pursuits into the whole foods, plant-based lifestyle are lukewarm at best. I watch the documentaries, do the research, get the cookbooks, remain convinced of the effectiveness of this lifestyle, preach plants, but am lucky if I maintain a plant-based program 50% of the time. I shouldn’t be surprised, really, at all of these results. I still can only “kind of” play the piano despite “committing” to improving my skills since high school, am still limited to “Free Fallin'” on guitar, and have written all of one letter by hand since deciding to increase such correspondence several years ago. I haven’t even finished my degree. I’m still basking in the dimly lit glow of ABD-ness. I don’t find much help in cliches like “find yourself,” but I do believe it is important to be reflective and seek out ways to improve oneself. It’s important to recognize patterns, weaknesses, habits that could be changed. I clearly have a tendency to commit, invest, pursue, then quit after achieving moderate success at best. I have an established pattern of comfortable averageness. The problem with averageness is that there’s still enough accomplished to claim success, enough done to get by and, sometimes, get praised. Enough to require the energy exertion of a moderately paced walk. Just not enough to sweat. Averageness is like a comfortable, cable-knit sweater. Goes with most anything, can be dressed up or down. Classic enough to survive all seasons, but not conspicuously drab enough to require a makeover. I’m not sure what to do with this realization or what it really means, but I do know that I have the option of following the fitness plan that grad student gave me two weeks ago (it’s current role is coffee table decoration with the occasional stint as drink coaster) and going back in three months for a follow-up assessment. I’m not sure what my goals are (I couldn’t really think of any in our first meeting), but I do know that I need to increase my self-discipline and force a better approach to, well, betterment. Though fitness may not be the most noble of goals, it is presently the most convenient since I didn’t even have to work out the plan for myself (see what I mean?). I hesitate to state a firm commitment to meeting the second assessment goals. I know myself too well for that. But I’m throwing the possibility out there. I’d like to retire the sweater, or at least trade it in for something a little nicer, something that maybe only goes with heels.